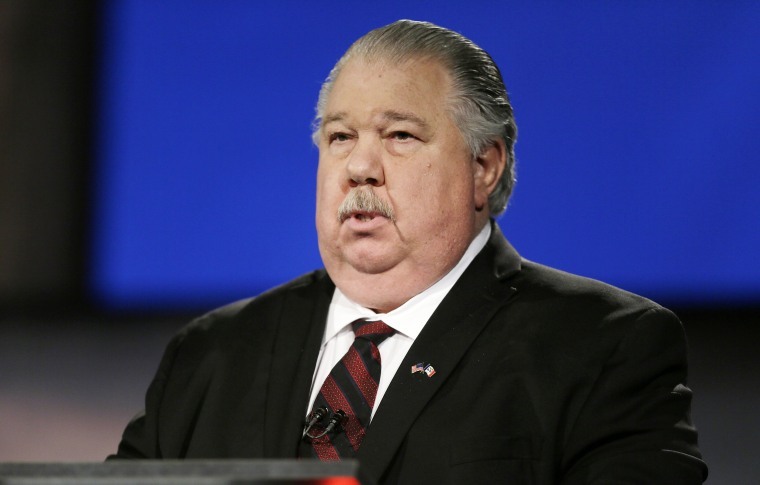 Sam Clovis, a former top Trump campaign official who supervised a man now cooperating with the FBI's Russia investigation, has withdrawn his name from consideration as the president’s pick to be the Department of Agriculture’s chief scientist. The withdrawal came just days after NBC News reported Clovis had been questioned last week by special counsel Robert Mueller's team and testified before the grand jury. Trump had nominated Clovis to be the undersecretary for research, education and economics at the Department of Agriculture, a job often referred to as the USDA’s “chief scientist.” But he has come under increased scrutiny since Mueller’s office revealed that a former Trump campaign foreign policy adviser named George Papadopoulos was arrested in July and has been cooperating with agents. It was also disclosed that Papadopoulos had interactions with a professor and other Russians whom the FBI suggested in court documents may have been working for Russian intelligence agencies. Clovis, as the Trump campaign's chief policy adviser and national co-chairman, supervised Papadopoulos on the campaign. Clovis was questioned last week by Mueller’s office and testified before the grand jury, a person with first-hand knowledge of the matter told NBC News this week. Clovis’s lawyer, Victoria Toensing, would neither confirm nor deny to NBC News his interactions with the Mueller team. A 25-year Air Force veteran and former talk radio host, Clovis had also been criticized for lacking the credentials to be the USDA’s top scientist. The Washington Post reported Thursday that Clovis, who is currently serving as a White House adviser to the Agriculture Department, admitted in an Oct. 17 letter to a senator on the committee overseeing his nomination and confirmation process that he had no credentials in hard science or agriculture. Democrats had already targeted the Clovis nomination because he had previously stated doubts about climate change. In a 2014 interview when he was a candidate for U.S. Senate in Iowa, Clovis described himself as "extremely skeptical" of the overwhelming assessment of climate scientists that human behavior is responsible for warming trends. But multiple Democratic senators told NBC News this week that the Papadopoulos news added a new layer to his nomination. Ken Dilanian and Mike Memoli contributed.